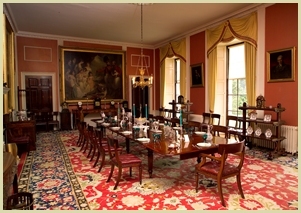 Here at The SH Blind Company we can offer Traditional Roller Blinds found in many National Trust Properties and Stately Homes around the UK including Blenheim Palace, Chartwell House and Kellie Castle. 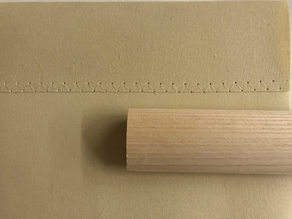 Our Scottish Holland blinds can be supplied with ratchet style spring barrels, traditional side hems with a zig zag stitch, solid oak bottom bar, brass knotholders and wooden acorn. 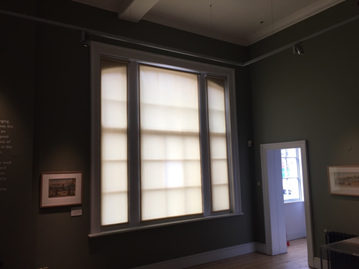 We can also supply side chain roller blinds with a number of different coloured chain options including antique brass, gold and chrome to name but a few. We pride our self on the quality of products used which are all UK sourced. 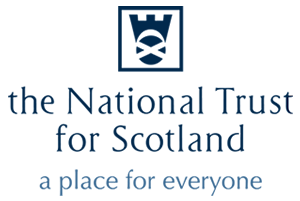 We are also the only manufacturer of Scottish Holland fabric in the UK which is finished in house in our dying department and then processed into roller blind fabric on our stenter. The fabric is then Calendar Finished to give a quality feel. 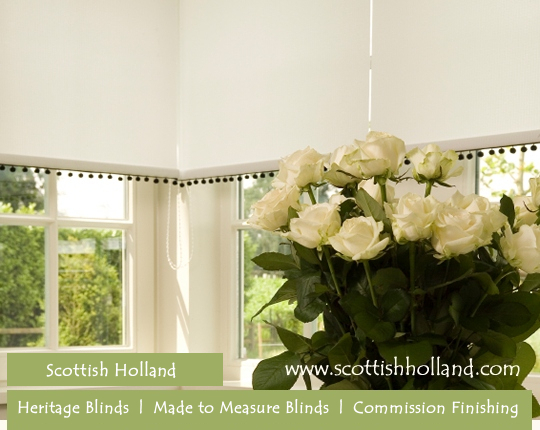 If you would like to discuss your blind options please call us on 01560 322503 or email us.